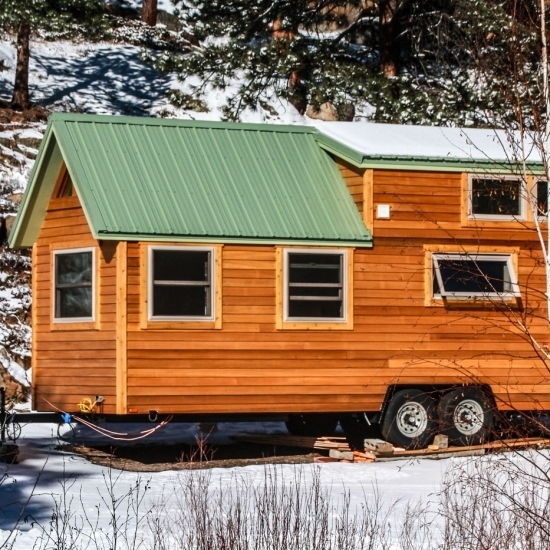 Currently available for sale from SimBLISSity Tiny Homes of Lyons, Colorado. 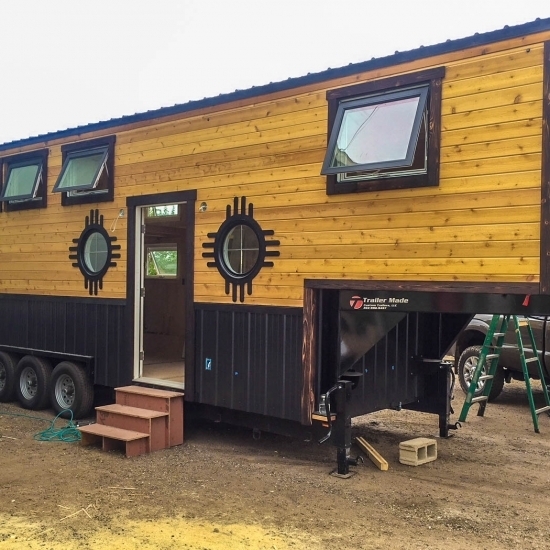 This 26′ home is built onto a triple-axel trailer with a cedar tongue and groove exterior. Inside features a spacious and functional layout. 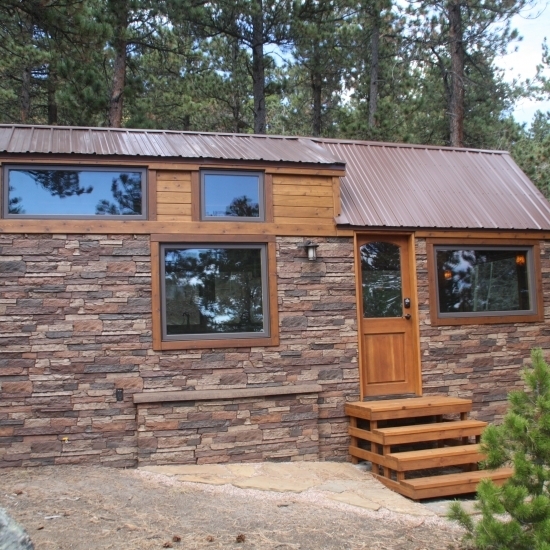 The Tahosa’s gourmet kitchen comes with custom cherry cabinets, walnut butcher block countertops, a hammered copper sink, an Energy Star fridge, a three-burner propane cooktop and oven, and a large pantry. The bathroom has a circular shower, sink, vanity, and a Nature’s Head composting toilet. 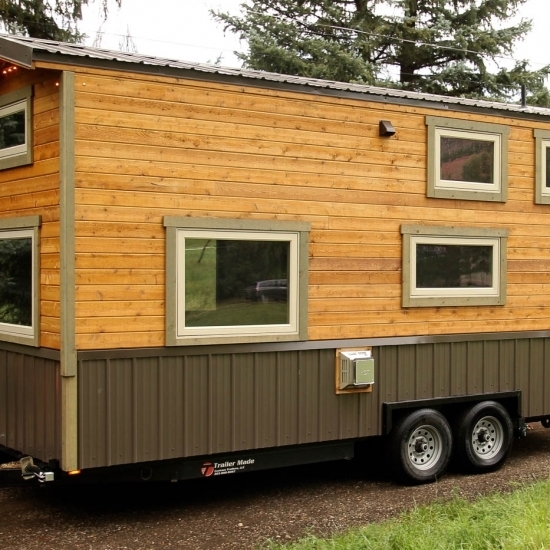 Also included in the home is Acacia flooring throughout, a living room with a U-shaped sofa and Kozy Heat fireplace, and an upstairs loft bedroom measuring 8′ x 12′. The Tahosa is currently listed for $92,000. Contact SimBLISSity here for interest and/or inquiries!